Chapter from the book: Green, N. 2019. 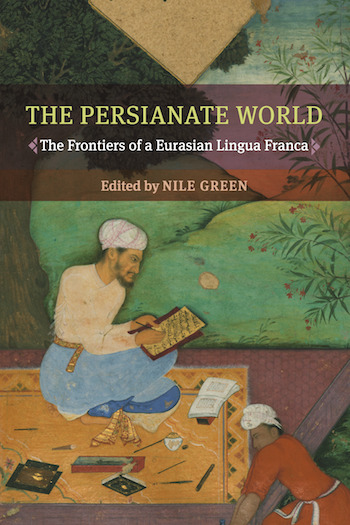 The Persianate World: The Frontiers of a Eurasian Lingua Franca. Persian has been one of the most important languages in world history. It was used as the language of administration in the Persian empires starting in the 6th century BCE, first in cuneiform, then in the Aramaic script, and finally after the Arab-Islamic conquest of the 7th century CE in the Arabic script for the city-centered administrations of the same area under Islam. Its use was later extended to India, China and the Balkans. Persian continued as the koine from Mesopotamia eastwards until the 19th century, when the British-Russian "Great Game" fragmented the area into nation-states, when vernaculars became the national languages, and Persian became the Latin of the Persianate world.